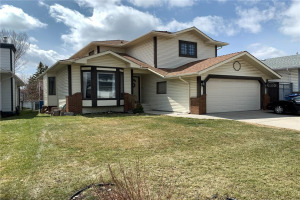 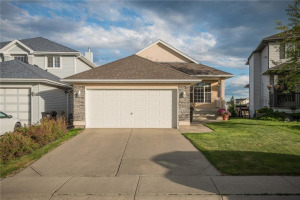 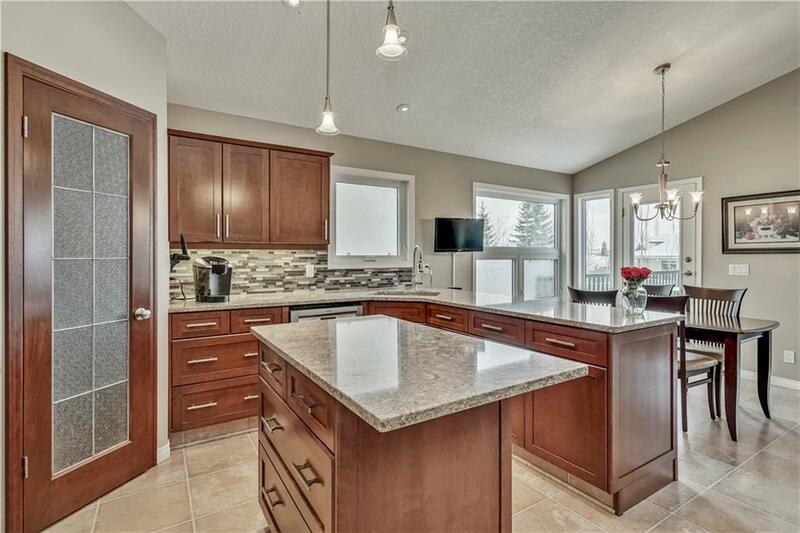 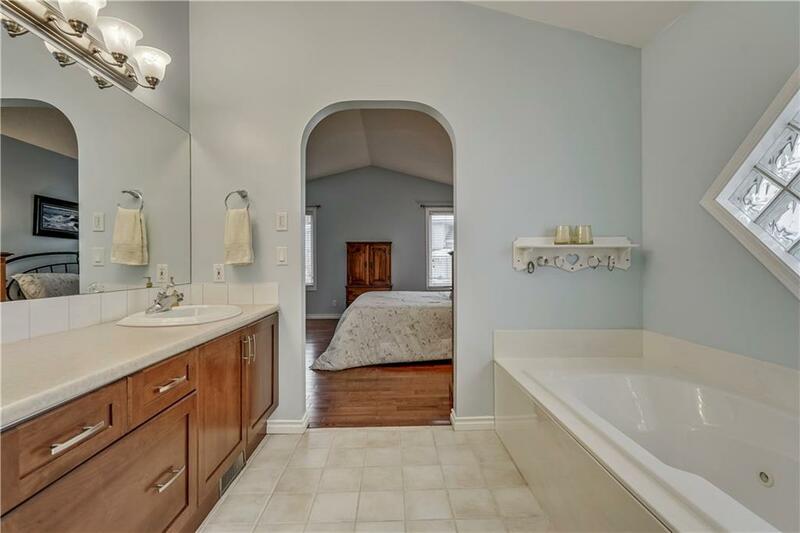 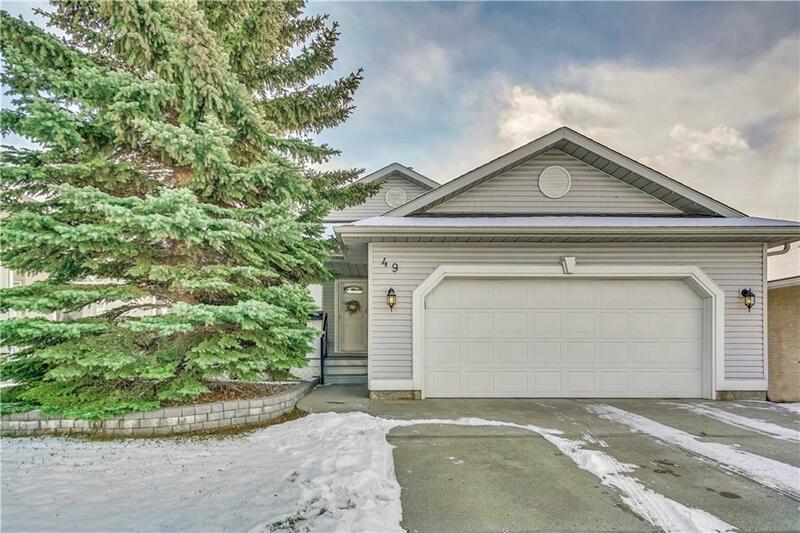 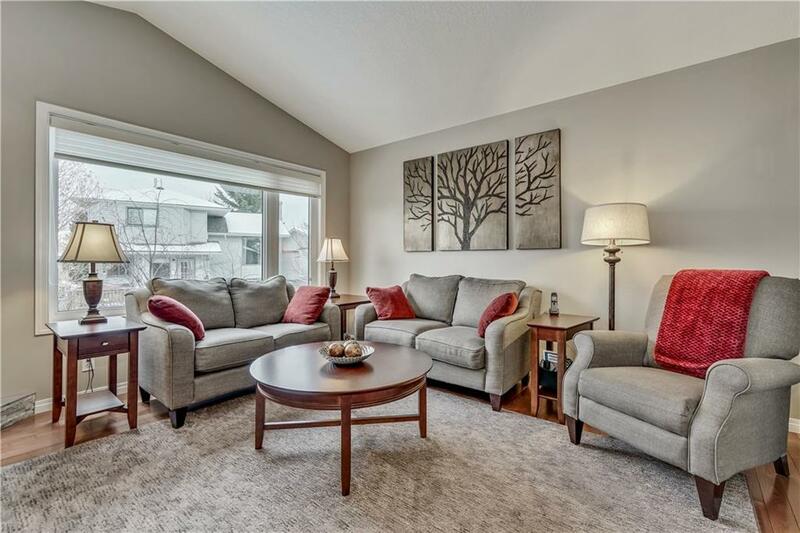 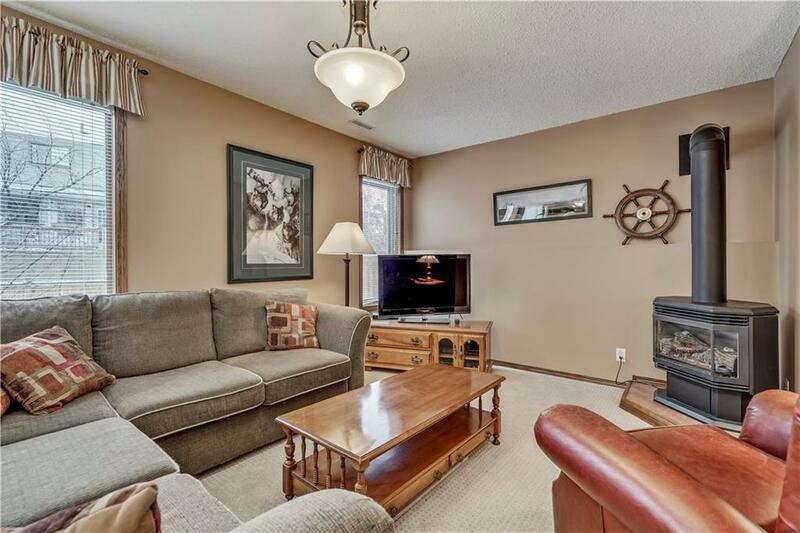 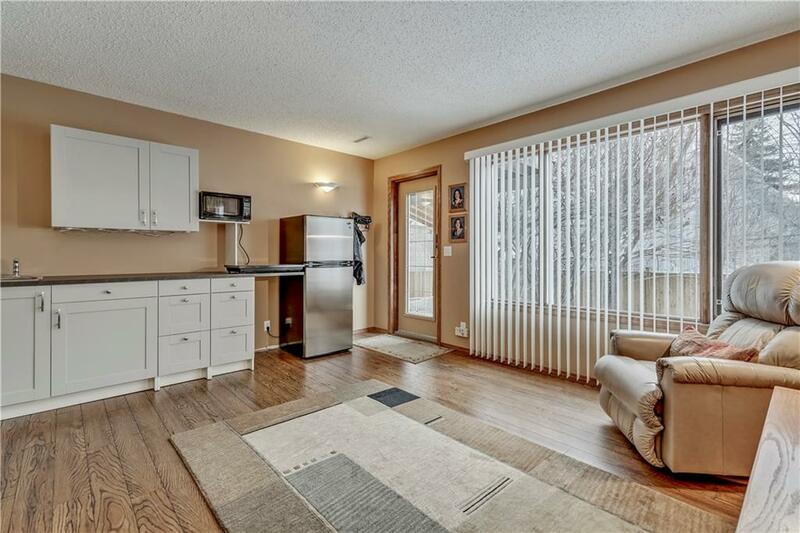 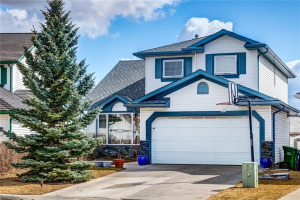 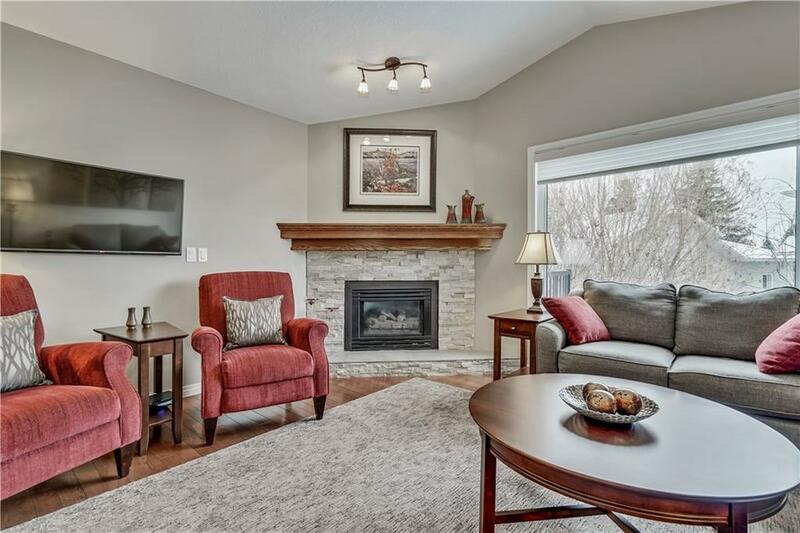 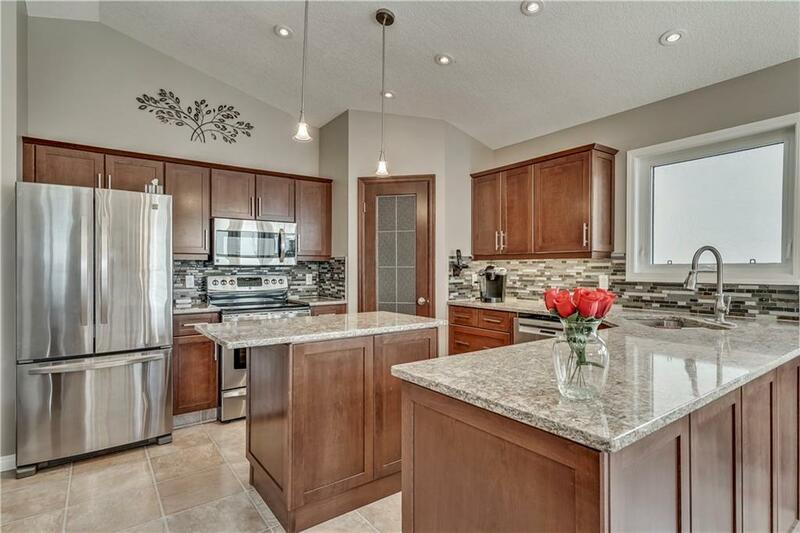 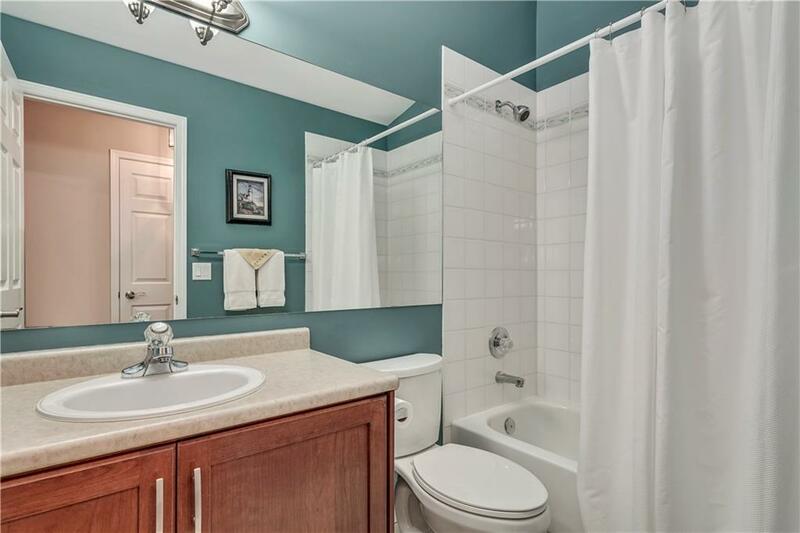 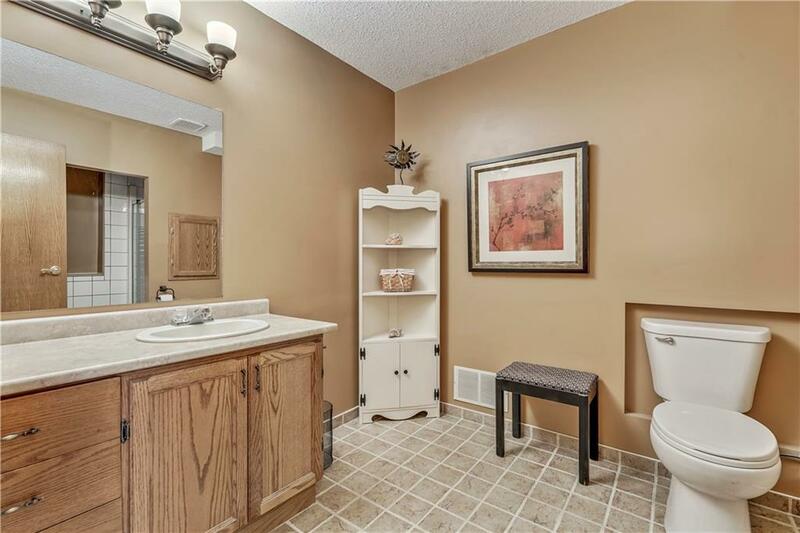 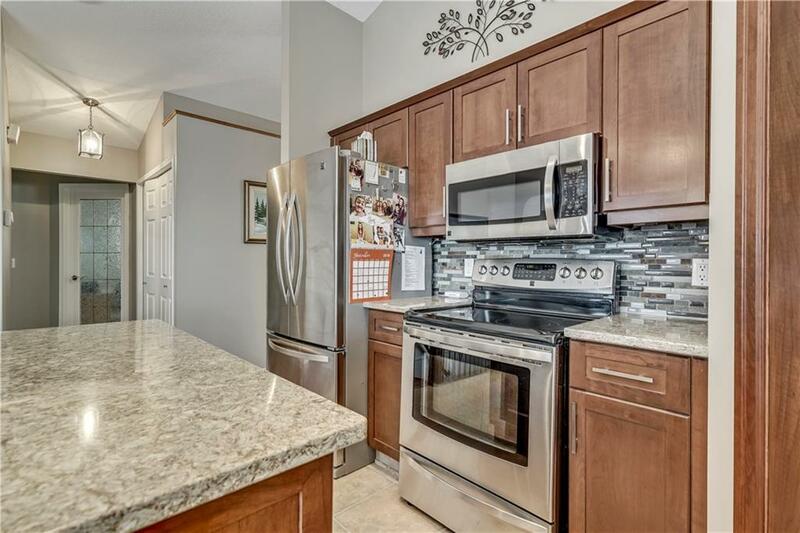 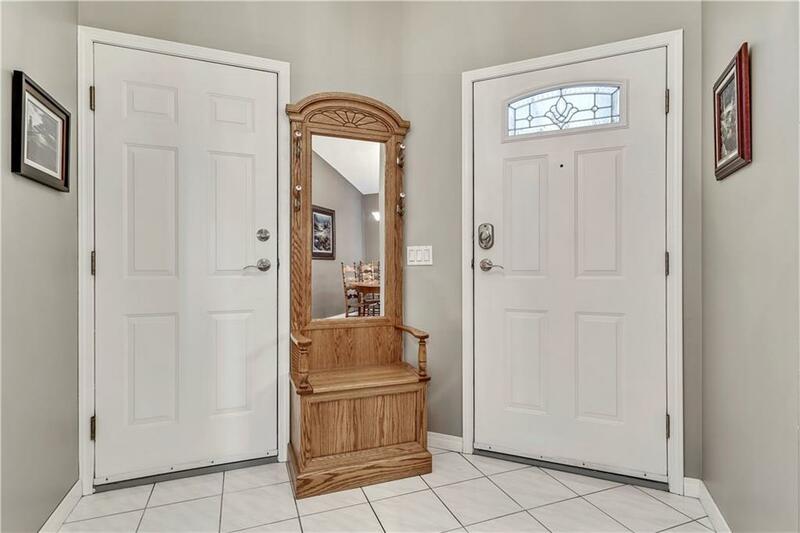 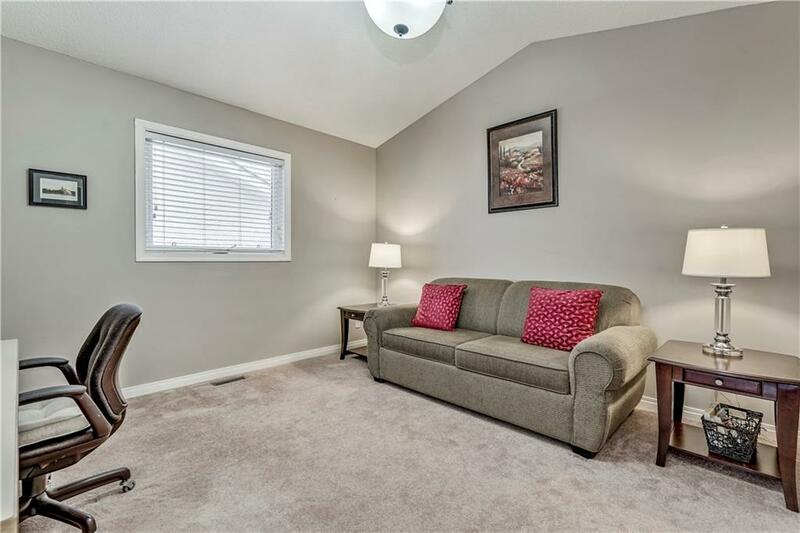 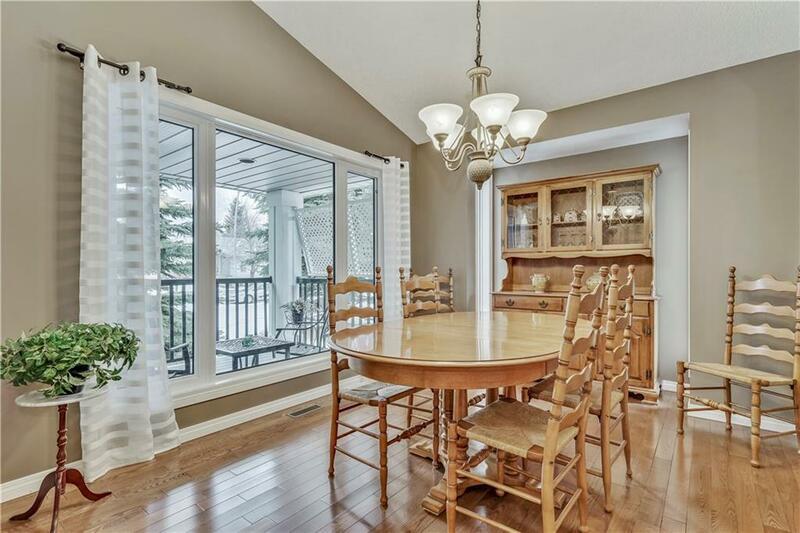 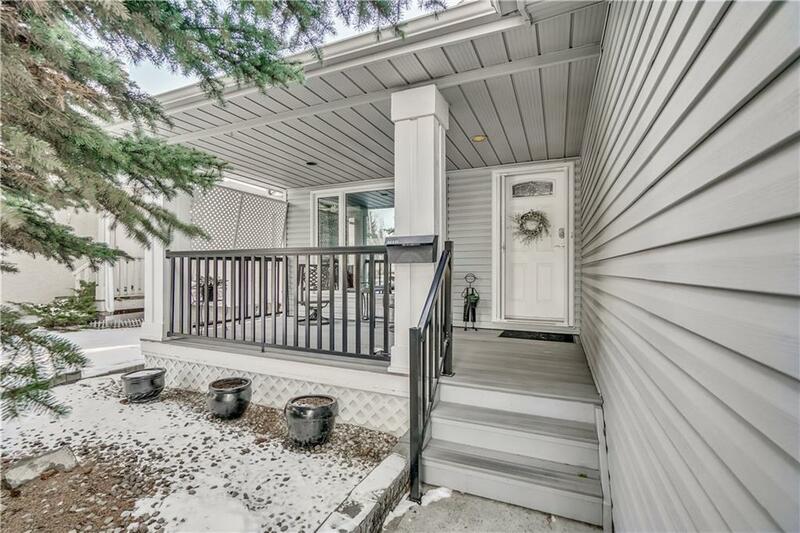 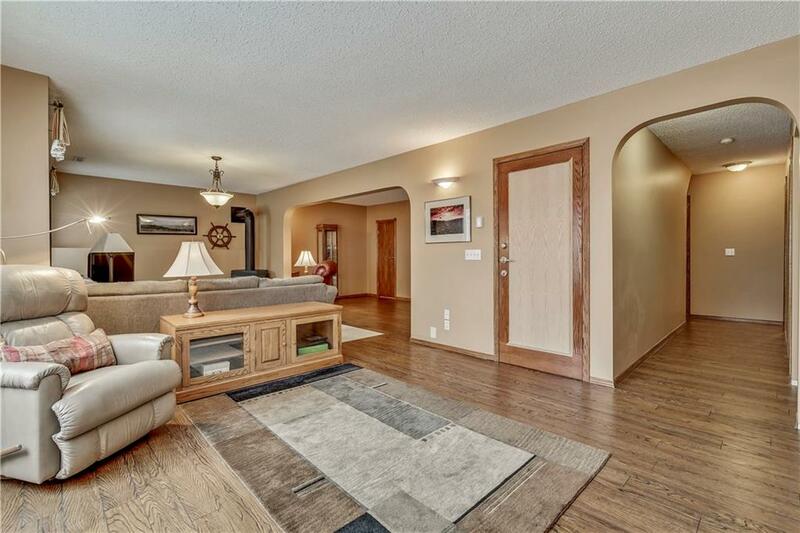 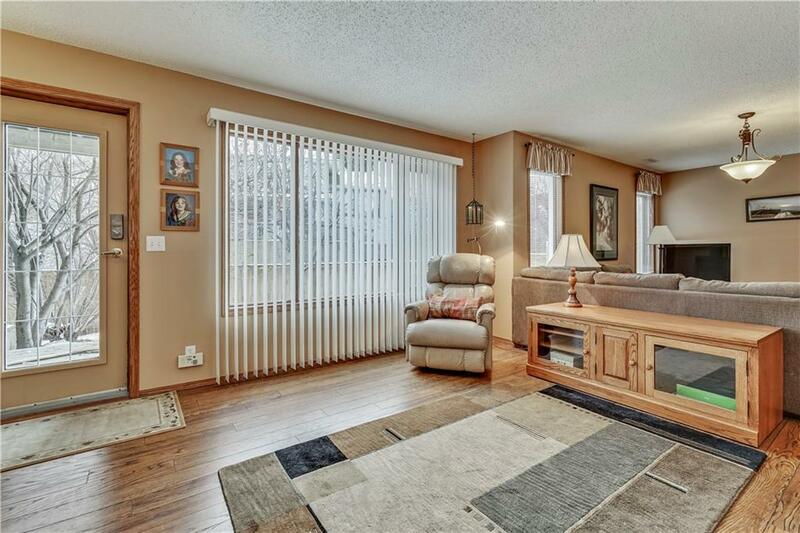 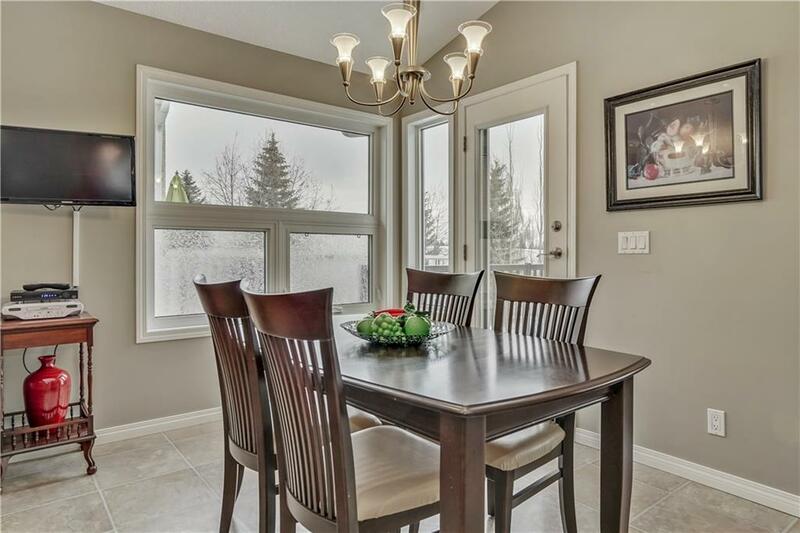 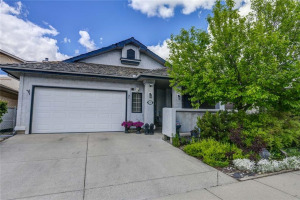 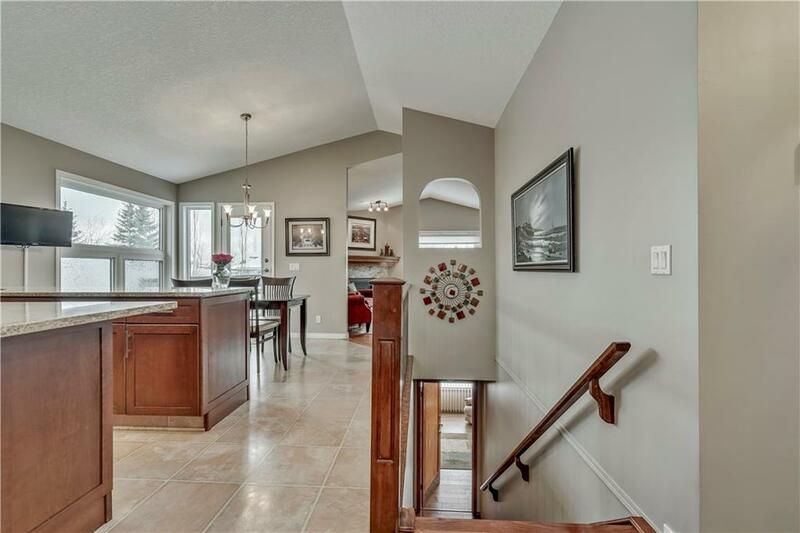 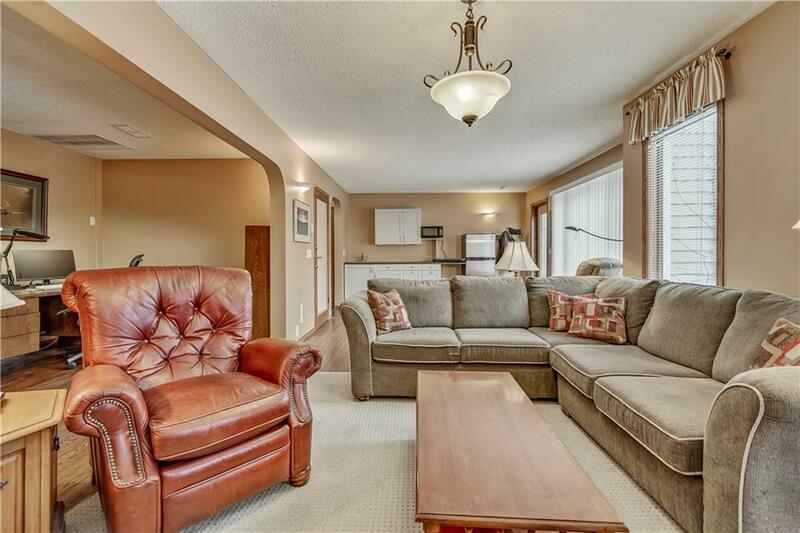 This charming home features terrific curb appeal & boasts of renos thruout the open concept layout. 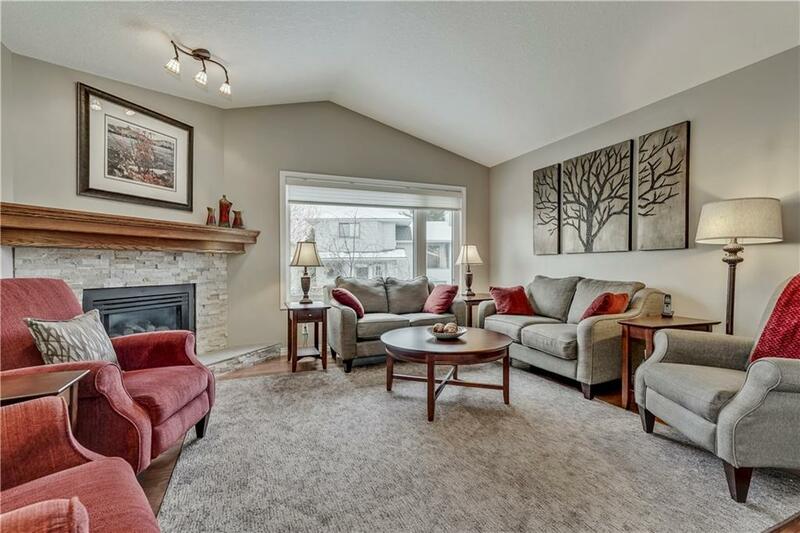 The MN floor w/vaulted ceilings contains a sunny living RM w/ a cozy fireplace & designated dining area. 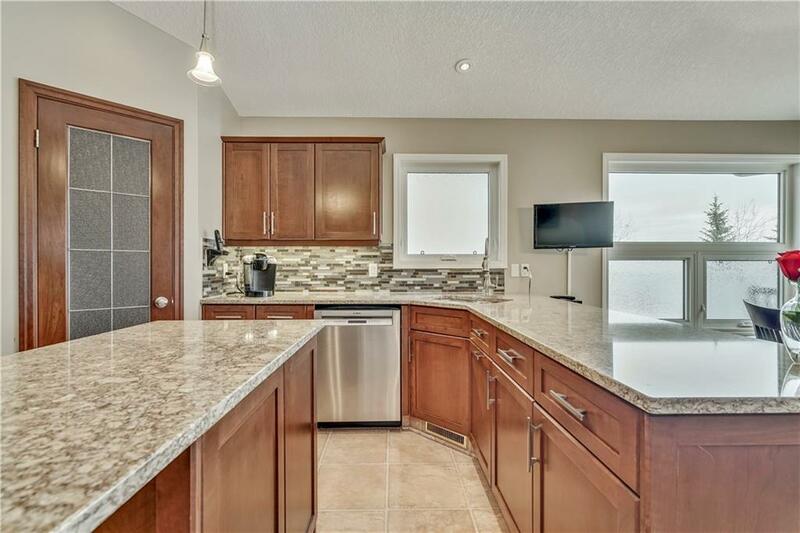 The bright & open kit includes new cabinetry, tile backsplash, modern SS appls, Quartz Counters & a breakfast nook overlooking green space. 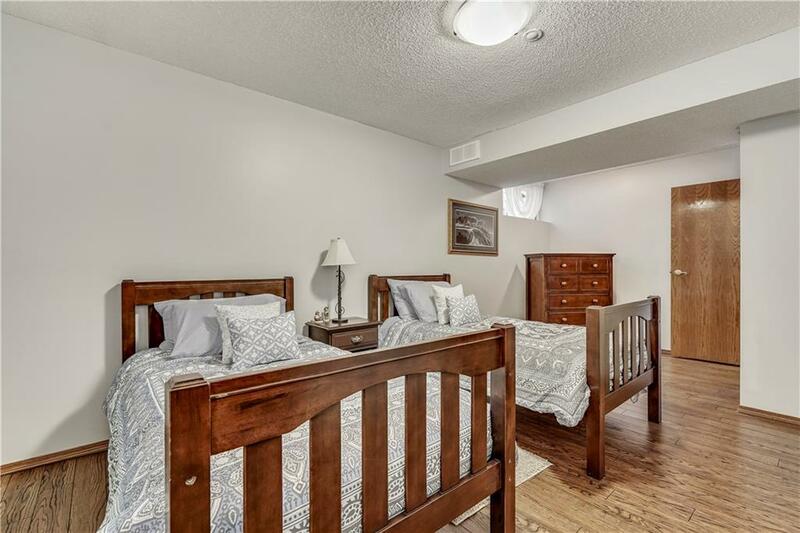 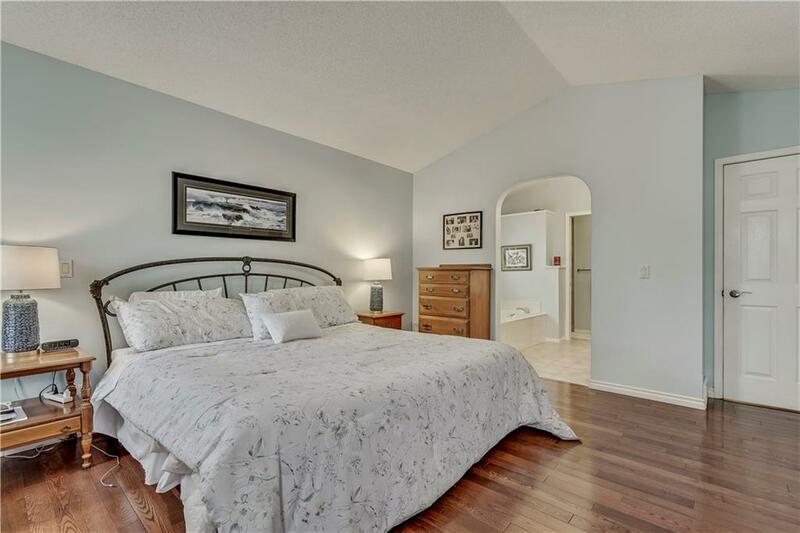 The MSTR Bdrm offers a large walk-in closet & updated 4 pc ensuite. 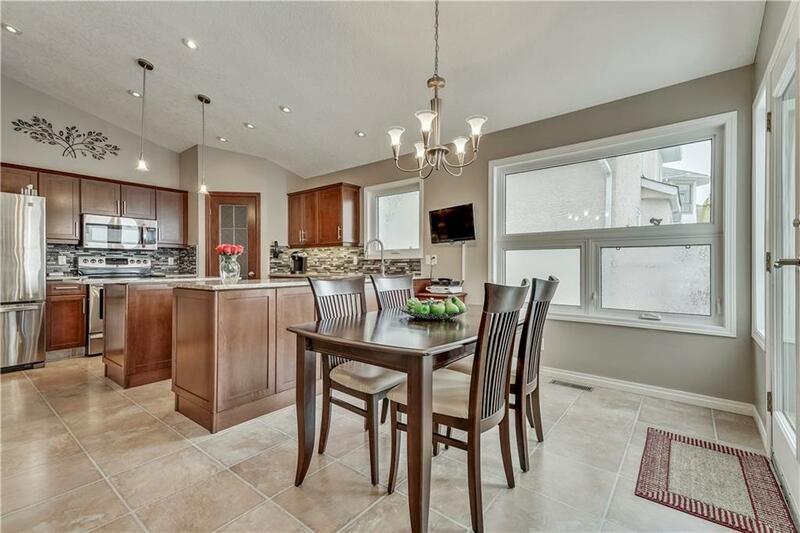 The MN floor is completed with a 2nd Bdrm & 4 pc bth. 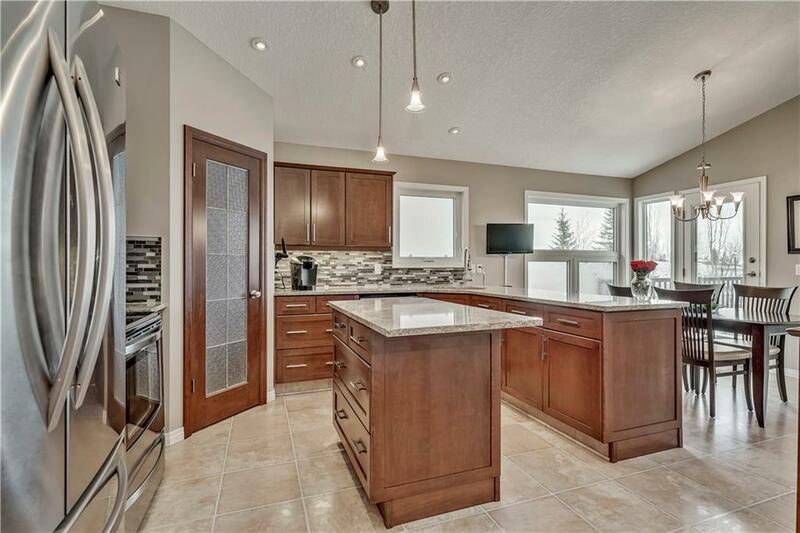 The fully developed W/O Bsmt includes a wet bar over looking a lrg family RM w/ 2nd gas fireplace. 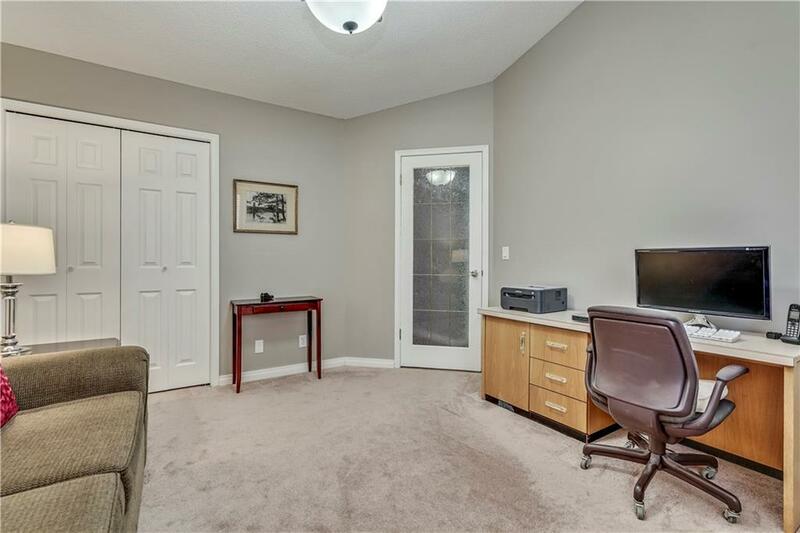 2 add Bdrms w/ walk in closets & a 3 pc bth as well as work shop area. 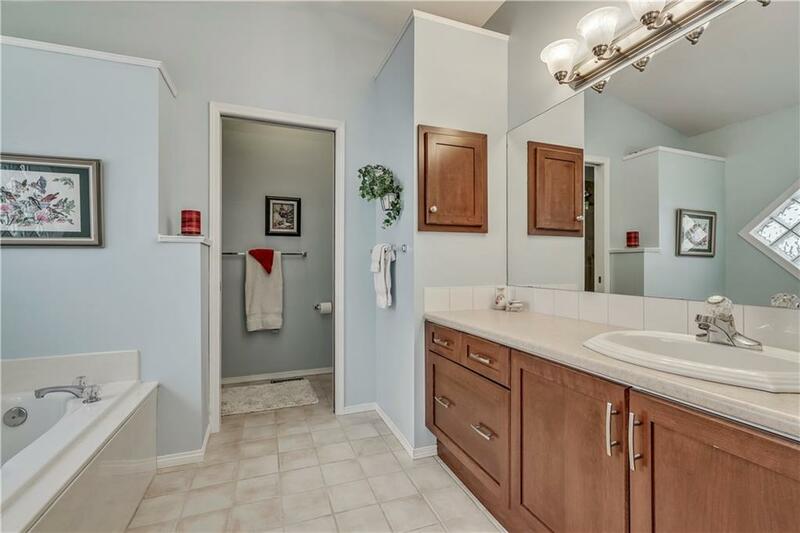 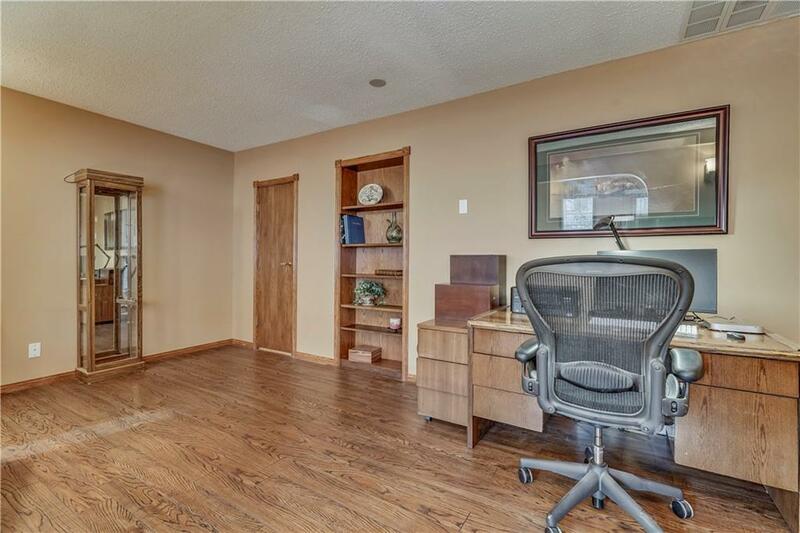 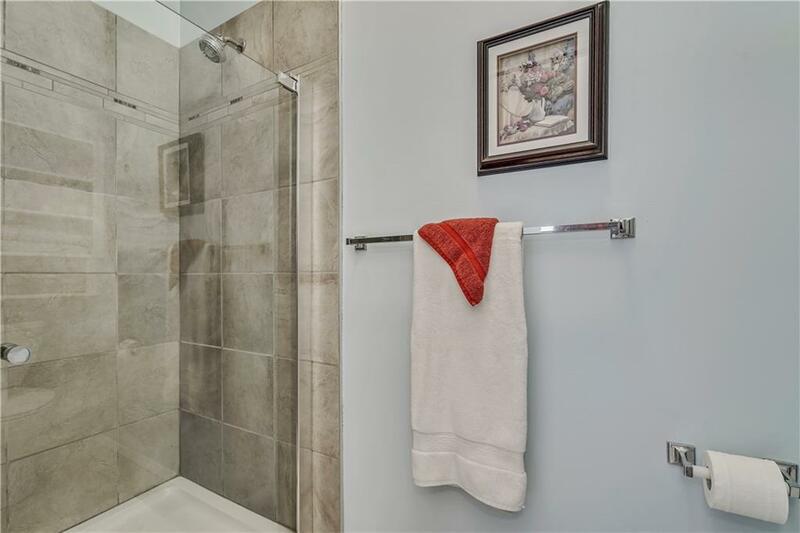 There is an add den/office, tons of storage, & utility RM which completes the lwr level. 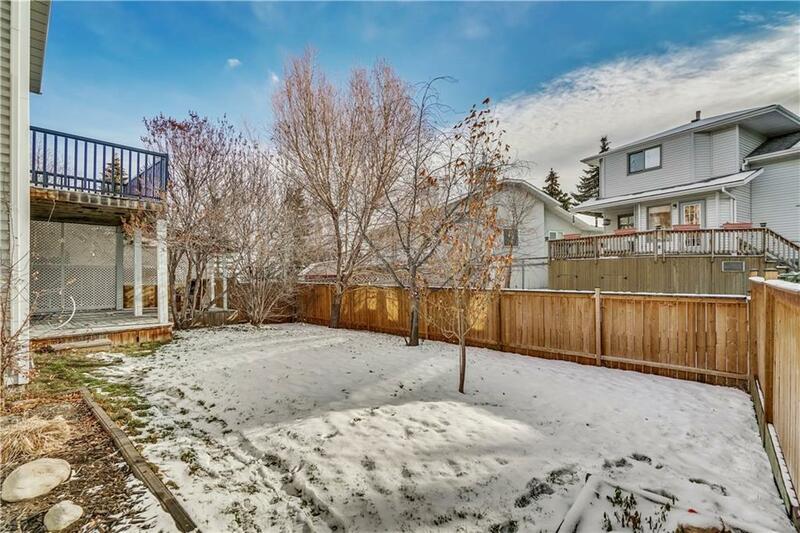 The fully fenced south facing back yard offers a private oasis landscaped w/ trees & shrubs. 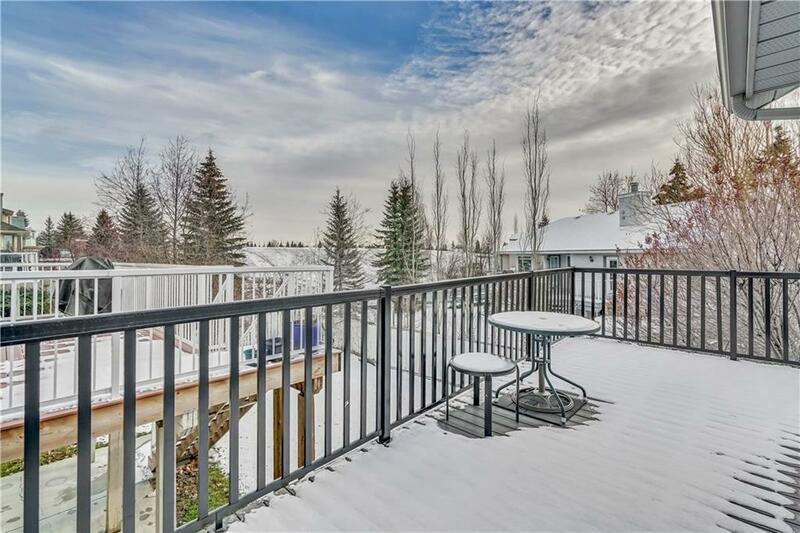 2 decks are low composite, featuring Regal Railings. 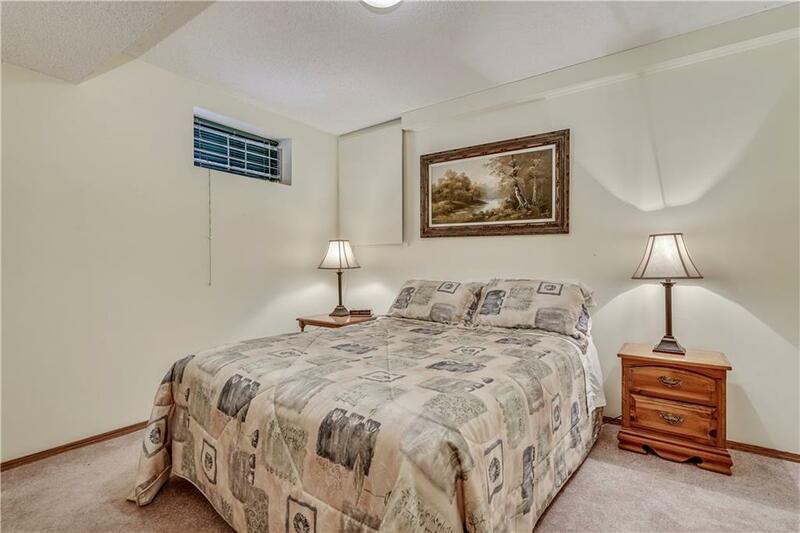 UPGS also include newer furnace, W/T Roof & Windows. 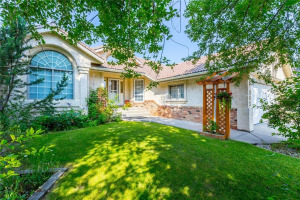 Truly a move in ready home perfect for an empty nester or someone looking to downsize.